Uhhm, they kinda weird me out!! Not 100% sure I'm afraid of them but for some odd reason they make me feel creepy. My older brother used to watch "Killer Klowns" (I think it was), all the time when I was around 8 or 9 years old. He still has a poor taste in movies as far as I'm concerned. LoL!! He also had a latex clown Halloween mask, he would hide, jump out and scare the whee out of me, (literally)!! The time I remember the most, he waited in the shower for someone came in the bathroom, out he jumps screaming and flailing his arms!! I started running and didn't go anywhere but in my pants!! I peed my pants so bad, I was so embarassed!! My brother thought it was just hilarious! After that incident, I couldn't even go in the bathroom with out the shower curtain open for the longest time, even then I would check! A closed shower curtain still creeps me out just a bit, I still give it a look see once in a while, even if it's not my house. Never know when one of them ugly old clowns might be lurking just waiting to jump out and do something really wierd!! That's like asking "do you like the reason somebody is going to be killed at the circus?" or "do you like the fact that spawns of satan walk this earth twisting balloons into animals because the air they blow into the balloons aren't air but actually THE SOULS OF THE INNOCENT?" Why, no. I don't like clowns. Thanks for asking. Hey Cherry!.. And No I don't.. Without the fact that John Wayne Gacy, and "IT" made clowns super creepy, I just don't like that makeup and costumes..
Who are you when no one's looking? What do you think of people who like to stir the pot and cause drama? How often do you change your profile picture? What is your favorite color? What do you have planned for Easter if you celebrate? Only when they're hot and even then they're creepy af. I don't think anyone likes clowns. But there are people who don't mind them including me. 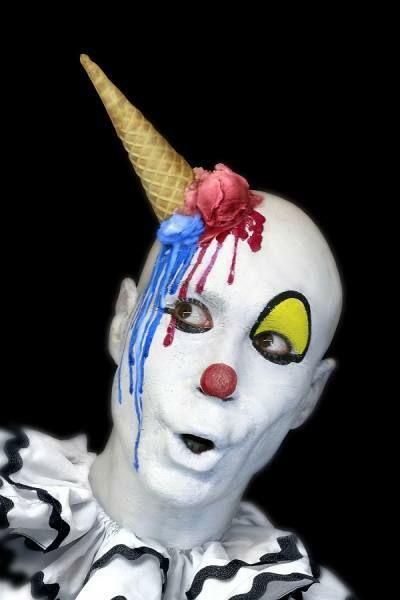 Male clowns are just pointless, female clowns well some are actaully still cute/hot. Girls who cosplayed as pennywise aka IT were pretty cute still. And tbh if something like pennywise was real i would not be bothered at all by his face showing up i would probably scare him more. I like to look at them and I admire their talents but I don't like the immature ones who do stupid things. Never liked a clown. They are not funny their jokes are corny. I always thought clowns were interesting. I don't understand this thing about people supposedly being afraid of clowns. Same! It makes no sense to me, nor does finding dolls creepy unless they're the ones specifically made to look that way for movies. If it's a good clown, yes! The only clown I've seen in person was at a rodeo, and I enjoyed watching him. If they are not in horror movies then clowns are fun! No, they're not funny! and their costume is just weird and sometimes scary. Yes, they funny! Anyone who says otherwise, is a clown themselves. A little bit coz most of them look scary so i love them.. I think they're fine. I don't find them scary, but I'm sure it's not an irrational fear. No. I'm not scared of them, they're just weird. I have always loved clowns. I dont hate or like them. Yeah , Pennywise !! " dontcha wanna ballooon? " Nope... but I love them in horror movies. Nope. I watched It as a kid and Pennywise ruined clowns for me. Home > Other > Do You Like Clowns?